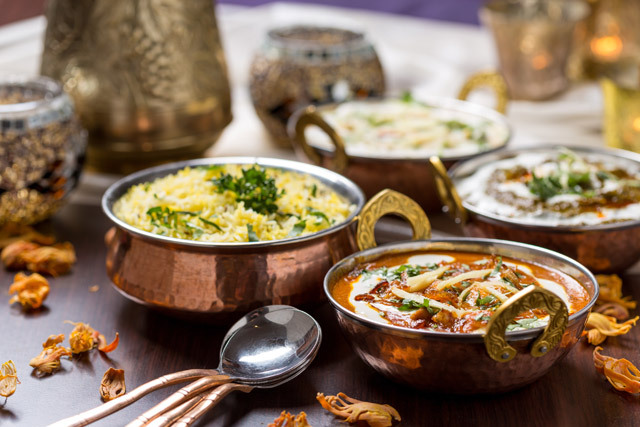 As in many places in the world that rely on fresh, local ingredients, food in India is highly regionalized. The cuisine that most Westerners are familiar with—tandoori meats, savory daal and tender naan breads—actually originates from northern India. Thanks to Southern India’s lush, tropical climate, the region of Kerala has been regarded as the source of some of the world’s best spices since the Neolithic age and the early stages of the spice trade in the third century B.C. Later, European explorers brought chili peppers from the New World, and the new plants grew well in the local climate and further increased the spiciness of regional fare. See below for the best spices to pick up at one of India’s many markets. The bark from trees from the genus Cinnamomum, cassia is what most North Americans call cinnamon. “True cinnamon” is made from Cinnamomum verum trees. The spice made from these spindle-shaped seeds imparts a stong taste, often described as citrusy or herbal. It pairs well with cinnamon, nutmeg, bright fruits or full-flavored meats like lamb. The buds of the evergreen clove tree are native to Indonesia, but their unmistakably warm, aromatic flavor is familiar to palates all over the world. Cloves are a popular use in everything from Asian curries to the mulled wine of European Christmas markets. Often called cilantro or Chinese parsley, this herb is quite polarizing. Recent studies have determined that it may be genetics that cause some to experience a lemony fresh flavor, while others find it metallic or soapy. Coriander or cilantro makes a great addition to Mexican dishes or as a final garnish to add some color. The taste of these oval seeds is often confused with caraway (or fennel) due to the two spices’ similar licorice-like taste. Cumin, though, has a fuller flavor and brighter green seeds, and it’s a popular ingredient to add mild heat to curry dishes. The spicy root of this flowering plant is used in the East to make tea, chai and curries, while it’s used in the West to add flavor to beverages and desserts. The seed of the nutmeg fruit is ground to flavor Indian meat dishes and Western desserts. The spice mace is made from the seed’s red-colored aril, or pithy covering. Popular black pepper is native to Southern India. The region still cultivates much of the world’s supply of the spice. While these seedpod-bearing trees are native to tropical Africa, India holds the title of the spice’s largest producer. The sour fruit becomes sweeter upon ripening and is popularly used in juices and sweet snacks around the world. North Americans may know it as an ingredient in Worcestershire sauce. This flowering plant grows well in Southern India thanks to the area’s heat and abundant rainfall. The aromatic and bitter properties of the plant’s root make it a great addition to mustards and curries, and some say it has great uses as an anti-inflammatory or antioxidant. While vanilla was first cultivated in the Americas, it grows well in India’s climate. Vanilla’s fragrant seed pods and extract are fixtures at most spice markets, and many Westerners find it a staple of any baking pantry. 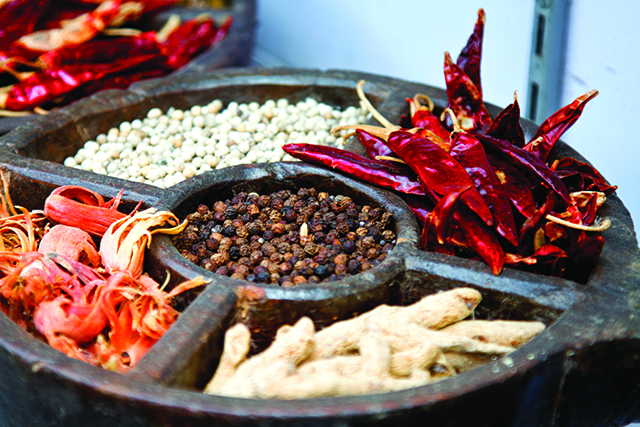 What flavors do you dream of sampling at the spice market on your tour of India? Tell us in the comments!